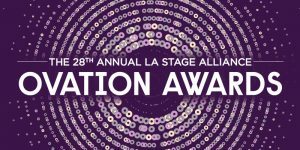 The LA STAGE Alliance Ovation Awards, celebrating theatrical excellence and achievement during the 2010-2011 season, were presented on Monday, November 14, 2011 at the Orpheum Theatre in downtown Los Angeles. Thirty-ﬁve awards were bestowed upon 20 different Southern California theatre companies. Leading the pack with ﬁve awards was The Troubadour Theater Company (A Withers Tale, Best Season), followed by Center Theatre Group with four (Leap of Faith at the Ahmanson Theatre, Venice at the Kirk Douglas Theatre), and Rogue Machine with three (Small Engine Repair). 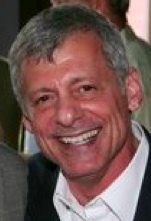 Crooked Arrow Productions (Hello), Ebony Repertory Theatre (A Raisin in the Sun), Pasadena Playhouse (Twist), Reprise Theatre Company (Kiss Me, Kate) and Sacred Fools Theatre Company (Voice Lessons, Watson – The Last Great Tale of the Legendary Sherlock Holmes) took home two statuettes each. Zucker (Executive Director, LA County Arts Commission), Allan Miller (Director/Founder, Back Alley Theatre), Tom Moore (representing SDC and director of the original Broadway production of Grease), Lindsay Allbaugh (Producing Associate, Center Theatre Group), and Anthony Byrnes (KCRW Radio). arts organizations in the counties of Los Angeles, Orange, Riverside, San Bernardino, Santa Barbara, and Ventura. LASA’s constituents operate in intimate sized venues (99 seats or less), mid-sized venues (100-499 seats), and in large venues (500+ seats), and include independent producers, educational groups, and social service organizations that have a performing arts component. Additionally, LASA directly serves over 50,000 diverse local, regional, national, and international performing arts patrons and, indirectly, three million unique patron households by conducting research on their behavior and buying habits. Providing access to the performing arts for patrons and access to resources for organizations has been our focus for 35 years. This year’s Ovation Awards were sponsored by Actors Equity Association, Wells Fargo, Goldstar Events, Green Hasson Janks, Go 2 Talent Agency, International Creative Management (ICM), La Mirada Theatre for the Performing Arts, and Paciﬁc Coast Entertainment.